Located in Zambia’s Lower Zambezi Valley, Chongwe River House and Camp is one of the most established accommodations. This spectacular region draws travellers in with its world-famous composite of abundant wildlife, natural beauty and bucket-list-worthy activities such as fishing, canoeing safaris and sleep-outs. Here you can come face-to-face with African giants such as the captivating elephant and ancient baobabs. Set up by a father and son duo in 1992, Chris and his father were captivated by the raw beauty and wilderness of the Lower Zambezi. They set up a camp on the banks of the Chongwe River and in time this overnight campsite has grown into an award-winning luxury collection. Today Chris shares his love of the great outdoors through the remarkable Chongwe safari experience. Stay at your very own safari home, the Chongwe River House. With four spacious en-suit bathrooms, this home-away-from-home sleeps eight. Mirroring the natural landscape laid out before it, River House follows the lines of the termite hills and blends in with its surroundings. 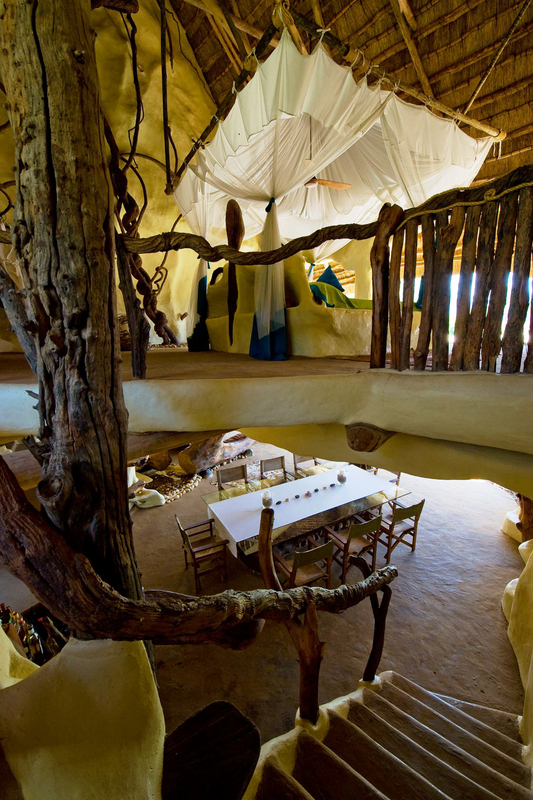 With an undisturbed flow of nature, the landscape has been brought into the house with tree trunks, lianas and branches incorporated into the main guest areas and softly coloured pebbles from the Chongwe River set into the ceilings. The rooms open up to the river and the bathrooms feature magnificent waterfall or rain-showers that perfectly incorporate nature into the living spaces making guests feel a dramatic bond with the Lower Zambezi’s environment. Relax at your private pool on the shady deck and take in the breath-taking panoramic view. Chongwe House comes with a private guide, house manager and chef. A private vehicle, canoe, boat and armed guide for walking safaris offers guests a number of ways to explore the beautiful surroundings. Experience a technology-detox in one of nine luxury tents at Chongwe Camp, scattered along the woody riverbanks. Chongwe Camp is surrounded by unspeakable beauty with the bellowing hippo disrupting the often silent air. Set at the convergence of the Chongwe and Zambezi Rivers against a beautiful mountainous backdrop, the camp has the best views from the outdoor seating areas. Relax outside your tent near the Winterthorn trees, and try spotting the playful Vervet monkeys you will hear overhead or marvel at the elephant before you as it splashes across the river. The Lower Zambezi is nestled between a notable mountain to the north and the mighty Zambezi River to the south – a noteworthy area for wildlife and bird lovers. With 60 mammal species and 378 bird species, guests are guaranteed quality sightings. Game viewing in the Lower Zambezi is recommended during the dry season between April to November, when the river levels are lower. Plains game is in abundance throughout the park such as elephants, hippos, lions, leopards, buffalo, and plenty of crocodiles. Wild dogs are also regularly spotted and considered a nice bonus since they cover long distances. With fewer crowds in the park at any given time, the region remains a pristine wilderness, free from overcrowding and has limited vehicles in the traversing area. 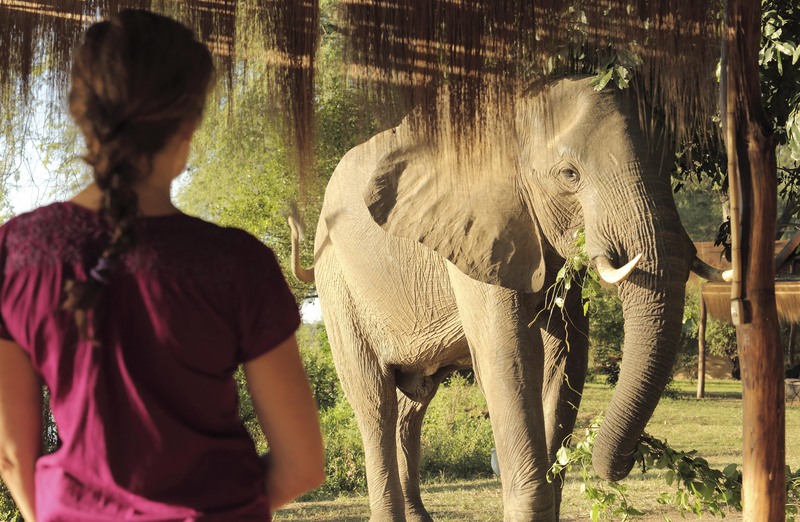 Have you ever been awakened by an elephant outside your room? Or slowly canoed passed a large herd of buffalo on a beautiful afternoon? Add Chongwe to the top of your bucket-list and experience all your safari firsts in one place. The unrivalled marriage of land and water not only makes for exceptional game viewing and photography, but allows for perhaps the most exciting aspect of safari – the sheer variety of activities on offer. The Zambezi River allows for a variety of river based activities and experiences that few other destinations can offer. This wistful region is famous for its canoeing safaris, boating trips and catch-and-release fishing. There’s nothing to compare an encounter with African wildlife during both day and night drives to. Chongwe’s excellent guides provide a plenty of knowledge to enrich the experience and the escarpment and river bank ensures incomparable sightings. When it comes to tiger-fishing, the Lower Zambezi is the place to visit! As Chris implements his conservation efforts, Chongwe is strictly catch-and-release to preserve this and other fish. All equipment is provided, and fishing is suitable for beginners and serious fly fisherman. Fishing is good year round, but peaks in October and November during the tiger fish breeding season. A river safari offers a fresh perspective on the breath-taking scenery and wildlife, from predators along the river bank to the diverse birdlife. Chongwe offers boating safari all season due to the Zambezi River’s constant high water level. Become part of the landscape rather than a mere spectator and explore the untamed beauty of the region with our experienced guides at your side. Peak season for walking safari is July to October. 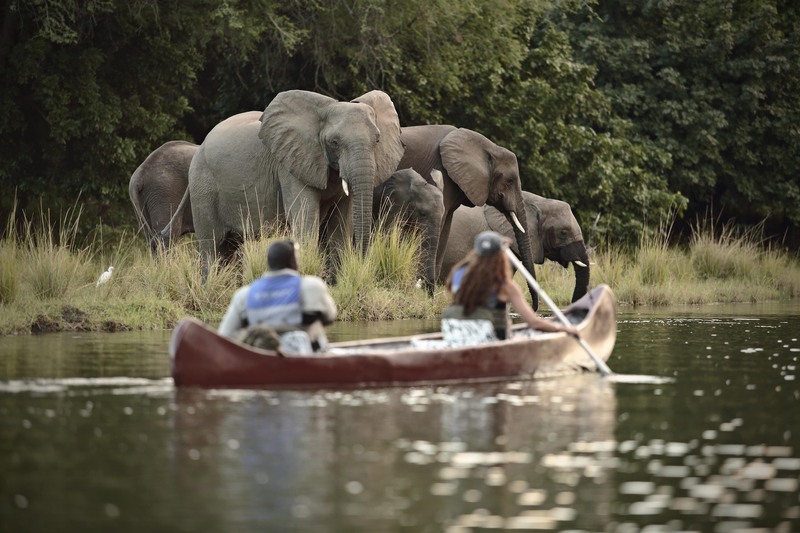 Book a canoeing safari during the dry months when the wildlife congregates along the river for a peaceful yet exhilarating experience. Enjoy the abundant wilderness and game viewing while quietly passing through the reeds on Africa’s fourth largest river. Float metres away from elephants or buffalo on the river’s edge – a memory you won’t be able to forget! Between July and October you can rest under the stars with only the night-sky and roaming wildlife for company. Experience the thrill of early explorers felt while camping out high in the mountain overlooking the sparkling water of the Lower Zambezi region. Guests can fly into Lusaka or Livingstone Airport and then connect with an air transfer to Royal airstrip. You will be transferred by 4×4 to Chongwe River House or Camp, a short 20 minute drive away. Beautiful sunsets while on boat cruises. Excellent for lion and leopard sightings. There are plenty of elephant and predator action right in front of the camp. There are limited vehicles in the traversing area. Chongwe River House and Chongwe River Camp are operational from April to November, but the best time to visit this spectacular region is between July and August. The mornings and evenings are cool and the days are warm and mostly dry. Temperatures range between 27˚C and 30 ˚C with little to no rain. Clear skies make way for beautiful sunsets and the dry bush improves visibility making lion and leopard sightings more frequent. July and August is also the beginning of the carmine bee eater season and the Flame creepers are seen in flower. For more on our other exquisite Zambia destinations contact us now.